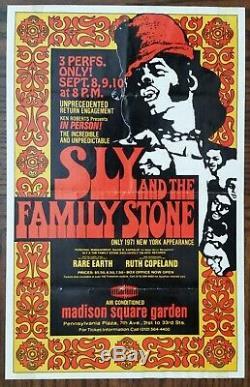 1971 SLY & THE FAMILY STONE Rare Original Handbill & Concert Ticket Stub (New York, NY-Madison Square Garden). The Sly and the Family Stone LP. There's a Riot Goin' On. On Epic records and tapes would be released less than 3 months later. Not accepting offers on this item. Also included is a ticket stub from the Sly and the Family Stone concert that took place at Madison Square Garden on September 10, 1971 and a newspaper clipping reviewing one of these 3 concerts. 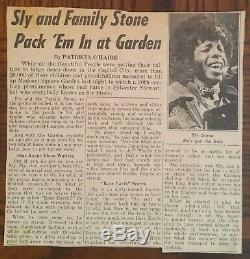 Rare Earth and Ruth Copeland were also on the bill with Sly and the Family Stone at these particular concerts. 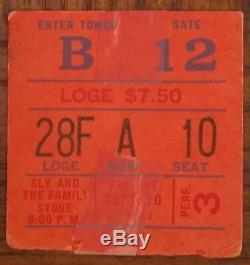 Please check out my other auctions for more rare concert ticket stubs/music magazines from the 70's/80's. Old concert ticket stubs and handbills are some of the most sought after items amongst music fans and collectors. This handbill and ticket stub would make a great collectible for any Sly and the Family Stone fan or collector. Don't miss out on this rarity. Also included is a picture of the newspaper clipping. Handbill measures approximately 6.00" by 9.40". 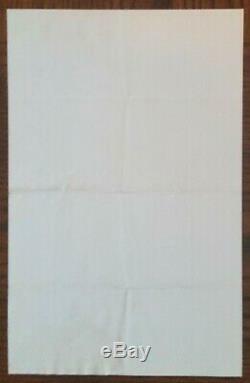 Handbill was folded into eighths and has creasing from the folding. Otherwise, handbill is in very nice condition with no writing or pinholes. Ticket stub measures approximately 1.75" by 1.80" Ticket stub has a couple of pieces of scotch tape along top/bottom edges from being removed out of a scrapbook. Otherwise, ticket stub is in good condition with normal creasing. Also, there is no writing or pinholes on ticket stub, either. The item "Sly & (and) the Family Stone-1971 Handbill (Flyer) & Concert Ticket Stub (MSG)" is in sale since Friday, February 8, 2019. This item is in the category "Entertainment Memorabilia\Music Memorabilia\Rock & Pop\Artists S\Other Rock & Pop Artists S". 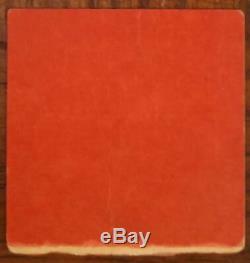 The seller is "pjcas" and is located in New Kensington, Pennsylvania.